Towels in the house and in the home - a very useful and necessary thing. Every day we use multiple towels - large and small, with bright and pastel colors for the face, body, legs, arms, etc. Hike to the bathroom, sauna or beach always ends gentle hugs towel. In many families decided to use a beautiful set when mom, dad and baby towels are the same design but in different sizes. Contemporary manufacturers are constantly replenished towels models of new raw materials, but the traditional bath towels do not lose their popularity to this day. Here at Elan Linen all products are made of cotton are always in high demand and love, because they are easy to care for, tactile and affordable. Bath towels most rugged and familiar to us. High-quality towel will serve for many years while remaining in excellent form. Probably, every house has a special cabinet or shelf on which lay all the towels. Face, body, legs, children and beach - all of them are mostly made of natural cotton (Pakistani, Egyptian, Turkish and Uzbek). According to its characteristics towels are divided into kind of yarn (single and double, torsion, combed, etc. ), the length and density of the pile. When purchasing, pay special attention to the label and appearance of your chosen bath towels. Good quality bath towel should not be puffs strands and nodules. Long pile (8 mm) with a bath towel looks nice but, alas, is not practical. This towel will lose its gloss after the first wash. Short nap (3.5 mm) also has negative aspects - such towel quickly become rigid and poorly absorbs moisture remains wet and accumulates odors. The golden mean for towels - medium pile (5 mm), so good wipe with a towel, it is always tender and fluffy. Density, unfortunately, the manufacturer rarely indicated on the label, but it affects the product during use. For example, the standard towel 70x140 cm size must have a density of 500 g / m2 and weighing about 490 grams. Paying attention to these characteristics, you can always buy a bath towel for yourself and your family the best quality and at an affordable price. Unusual in our market towels fashion or bamboo are a good alternative to the usual cotton towels for us. It is worth to buy a couple of bath towels that would feel that the world does not stand still and, along with the usual terry - bath towels appeared something new and interesting. If you decide to buy a towel for yourself and your family should pay attention to brands such as towels: KAS, Bambury, Esprit, Christy, Dri Glo and Dickies - manufacturers already operate on the Australian market. In the catalog online store you can buy a set of bath towels (two, three, four or five towels included) or by the piece. Set of luxury towels will look good in the bathroom or will be an unexpected surprise for any occasion. Gift towels or set - always a good gift that does not lose its relevance. Each towel made of cotton; modal and bamboo have a detailed description and a clear photo. Towels, as well as other textile products such as plush curtains, tablecloths or jacquard bathrobe creates a special warmth and comfort in your home. 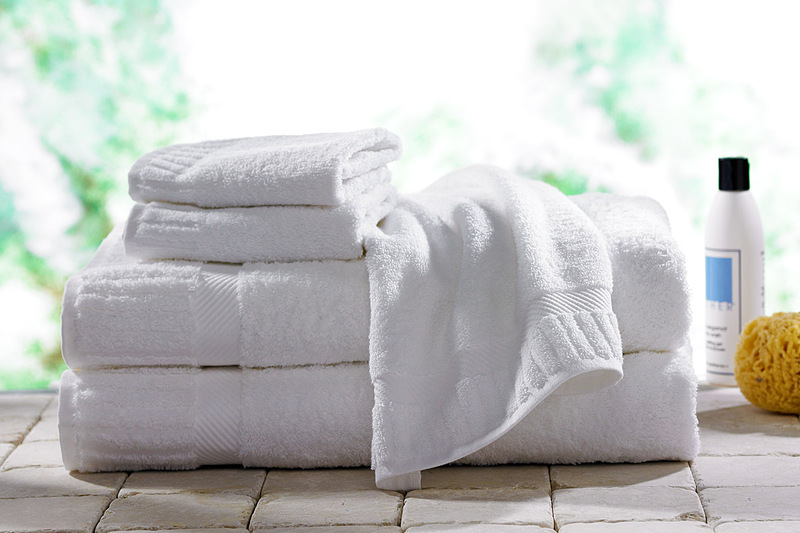 Fluffy towels in all sizes, colors and purposes - an essential attribute of comfort. In the bathroom towel rail is always busy affair, paper towels make life easier on the road, wafer command in the kitchen, soft terry towels create a sense of comfort and convenience, but bamboo towels give our lives new shades. Baby towels allocated special soft texture and contain no harmful substances. In the online store you can buy any right for you and your family.